VOSTA LMG specializes in the design and global supply of a wide range of standard and custom-made dredgers (including in-house-developed cutters and dredge pumps) and we provide tailor-made engineering & components packages for shipyards worldwide. VOSTA LMG's standard robust cutter suction dredgers are optimized to achieve the lowest production price per cubic meter, low maintenance, and a long economic life. 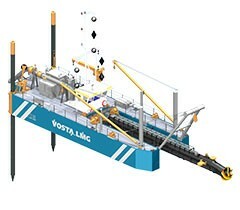 VOSTA LMG's trailing suction hopper dredgers are optimized for efficient dredging, hopper capacity, short hopper loading time, high sailing speed and short unloading time. 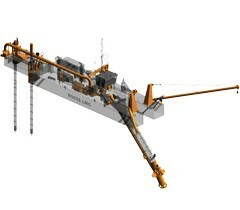 VOSTA LMG’s custom-built dredgers are engineered with unique features to fit specific dredging requirements and conditions. 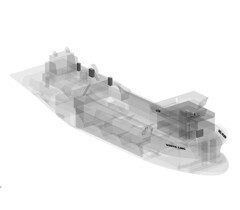 VOSTA LMG’s tailor-made engineering & components packages are designed to suit capabilities of shipyards worldwide, either as full E&C packages or with separate dredging components. 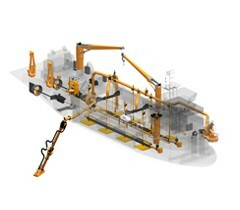 Complete Engineering packages from conceptual design to basic detail and detailed design for all types of dredgers. Highly skilled Service Engineers to supervise dredge construction from engineering integration with the yard to installation supervision of dredge components and dredge commissioning. Theoretical and on site (board) worldwide training tailored to suit the required skills needed to operate and maintain every type of dredger. Dedicated support engineers for supply of genuine and durable VOSTA LMG components resulting in world wide on time delivery and low cost of production. Supply of standard and tailor-made maintenance packages to enable continuous operations of the dredger resulting in low operational cost. Worldwide engineering support, 24/7 on stand-by for immediate on-site dredger repair by experienced VOSTA LMG professionals that will enable the dredger to resume its operation. 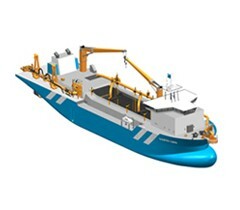 Conversions and refits from single component replacement to complete refurbishment of existing dredgers resulting in a more efficient dredger with the latest dredging technology. Design and supply of fit-for-purpose cutter suction dredgers, tailor-made based on specific project requirements, design requirements and environmental standards. Design and supply of fit-for-purpose trailing suction hopper dredgers, tailor-made based on specific project requirements, design requirements and environmental standards. Design and supply of fit-for-purpose wheel suction dredgers with proven ‘Cutting Wheel’ technology, specially engineered for mining. Design and supply of fit-for-purpose booster stations, grab dredgers, split hopper barges, bucket dredgers, plain suction dredgers, and other custom-built dredgers. 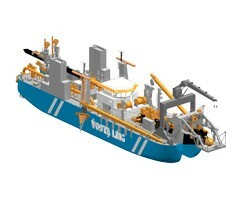 Available for standard and custom-built dredgers and suitable for any type of dredging operation. 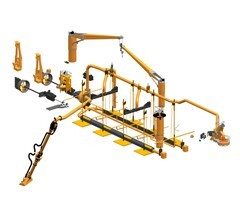 Complete dredging equipment for any type of dredger or separate components for integration into existing dredgers. Dredging solutions enabling shipyards to produce any type of dredger, facilitating innovative engineering and fully matched components.